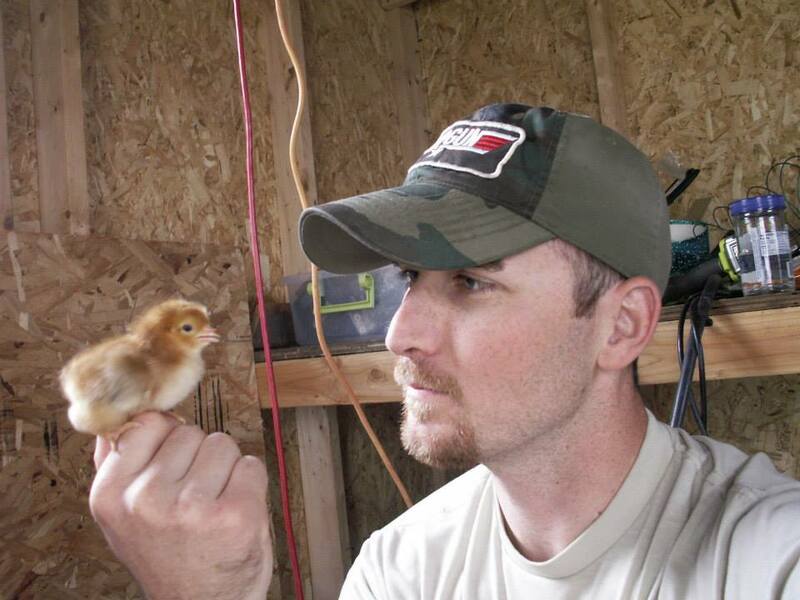 This is me hanging out with General Tso…Chickens have several functions, egg laying being a major one. There are three breeds of chicks here which are known to be hardy egg layers; Barred Rock, Rhode Island Red, and Buff Orpington.I had specific breeds that I wanted and couldn’t find them locally so I had them shipped through the USPS. 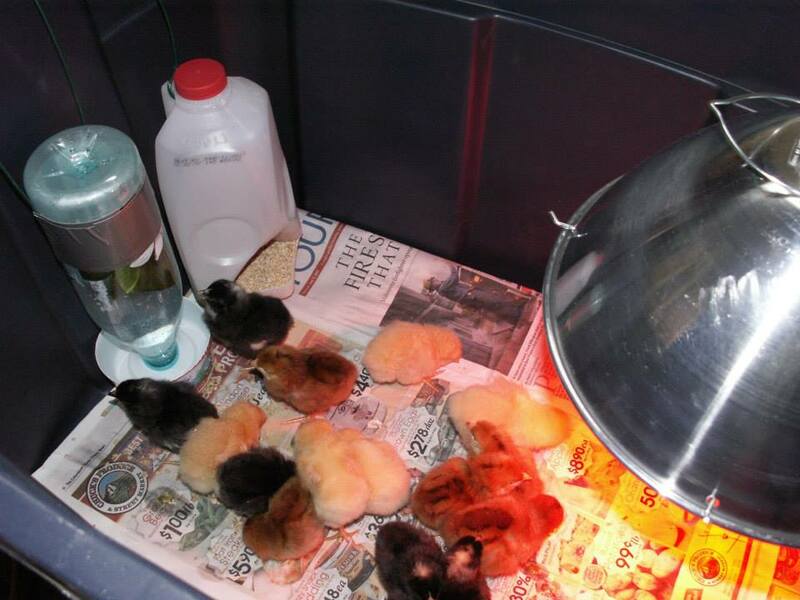 I was chuckling to myself as I stood in line at the post office as I could hear my chicks peeping back behind the counter.The light in the corner puts off heat to keep the chicks warm. As they get older the heat lamp gets raised higher and higher until they no longer need it. They should start producing eggs in roughly 6 months. You’ll also notice my homemade waterer and feeder already in use. Another function of chickens is that they put off heat (Geoff Lawton Permaculture Lecture). I intend on using these ladies to heat the aquaponics greenhouse during the winter by building a secondary coop underneath one of the grow beds.